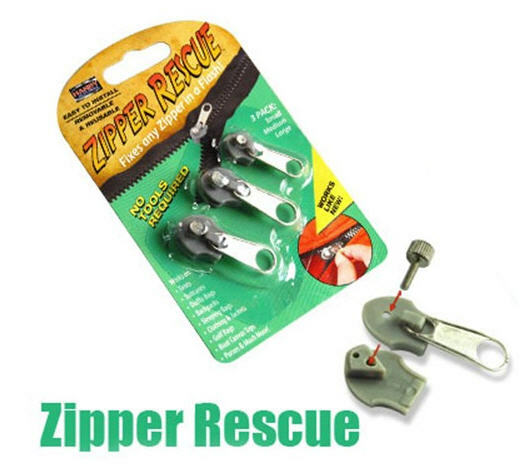 Your new Zipper Rescue can now slide back and forth to open or close your item with ease! Total 3 pieces (3 different sizes)! Slide the Zipper Rescue onto both zipper teeth sides, holding in place, tighten the screw back to set it for use.